In Taiwan, the International Holocaust Remembrance Day has been observed since 2015, with the active participation of Taiwan's presidents and this year the vice president. 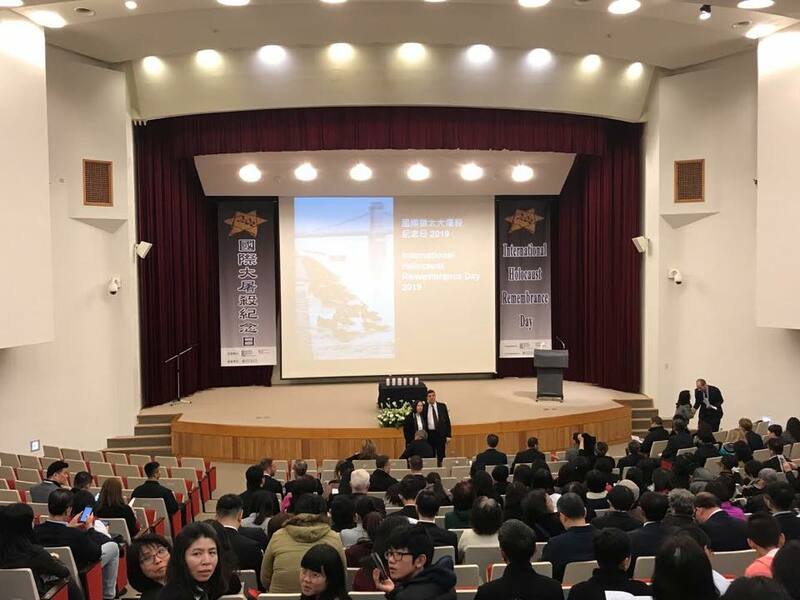 Vice President Chen Chien-jen said at the ceremony on Jan.27th that Taiwan has to learn from Israel and Germany as Taiwan is pursuing transitional justice adding that Taiwan can learn to transform past suffering into educational resources to inspire tolerance. January 27 has been designated by the UN since 2005 as the international day to commemorate the genocide of 6 million Jews, and more than a million Roma and Slavs, disabled individuals, homosexuals and other groups. Mr.Asher Yarden, the representative of Israel Economic and Cultural Office said we can learn through education stressing that we should keep the memory of holocaust alive to make people know the facts and learn the right lessons.